I love travel and food, and I love talking about both just as much! Sitting on a white sand beach, the pacific ocean lapping at my feet, all around me is rainforest. 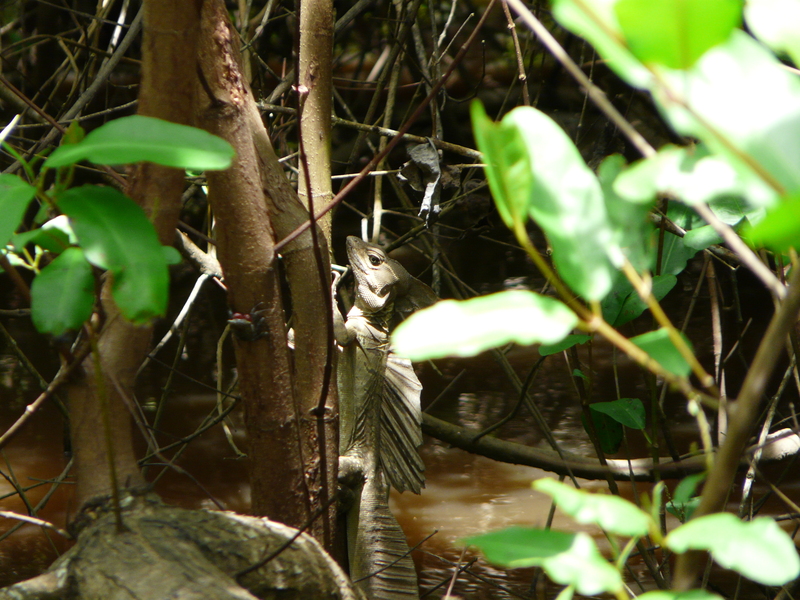 The monkey’s play in the trees behind and on a fallen tree sits a stunning blue and green iguana. This is paradise, this is Costa Rica! It’s a country only the size of Switzerland but is home to a range of ecological systems, countless wildlife species and fabulous white sand beaches. It offers so many reasons to visit. Having no army means that the country spends its money on education and the environment instead of guns and tanks. This of course makes for a happy and positive population. With 26% of the country National Parks and protected it just reflects how important having 5% of the world’s biodiversity is to them and of course for everyone else its a key reason to visit this fabulous country. 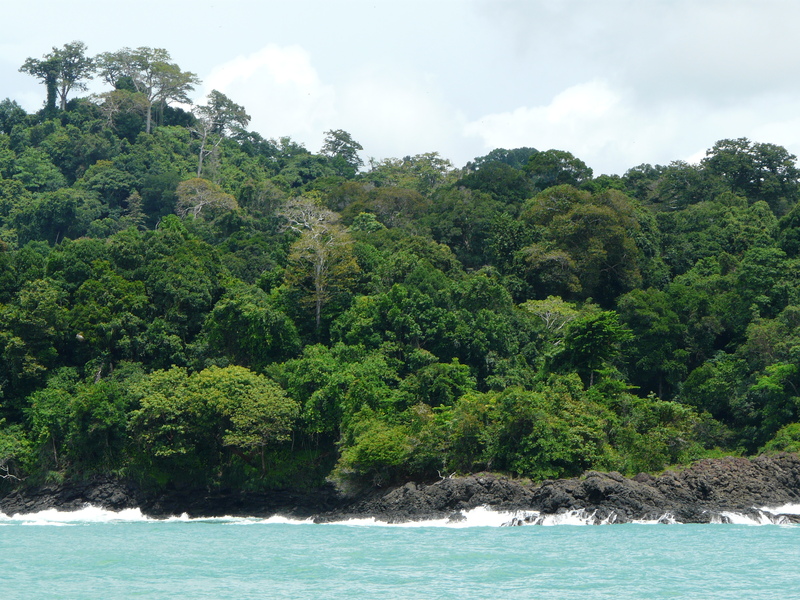 I found myself leaving San Jose for the Central Pacific Coast for Manuel Antonio National Park, which is one of the 28 National Parks and Biological Reserves in the country. Sitting right on the Pacific Coast it’s where rainforest meets beach. 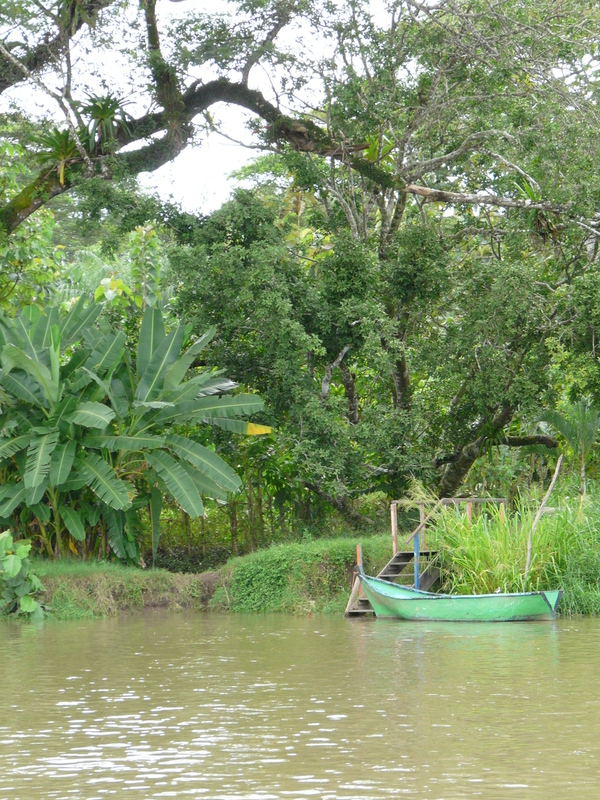 First stop was a mangrove river cruise in Guacalillo. 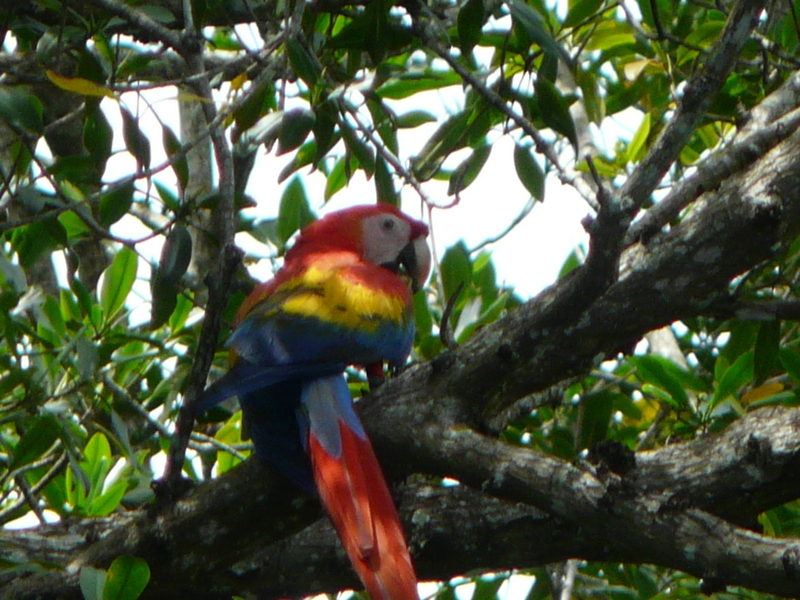 We boarded our boats and before we even moved we were surrounded by the most stunning Scarlett Macaws. Flying above our heads from tree to tree in their pairs the colour of their feathers brightening up the sky. The colours were mesmerising. It always amazes me how the guides manage to spot animals in the forest when travelling at speed on a boat, but spot the guides did. 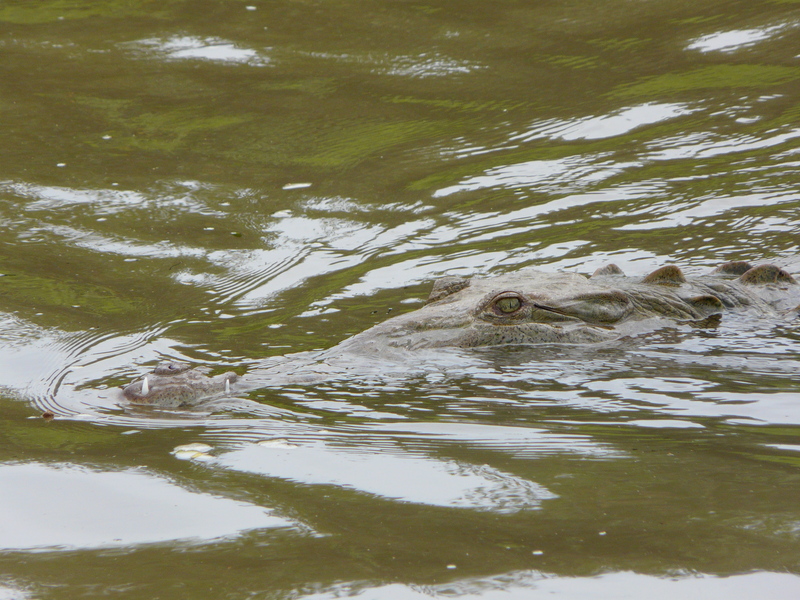 Soon we were gazing upon water walking lizards, monkeys, birds of all kinds and then those giants of the river, the crocodile. 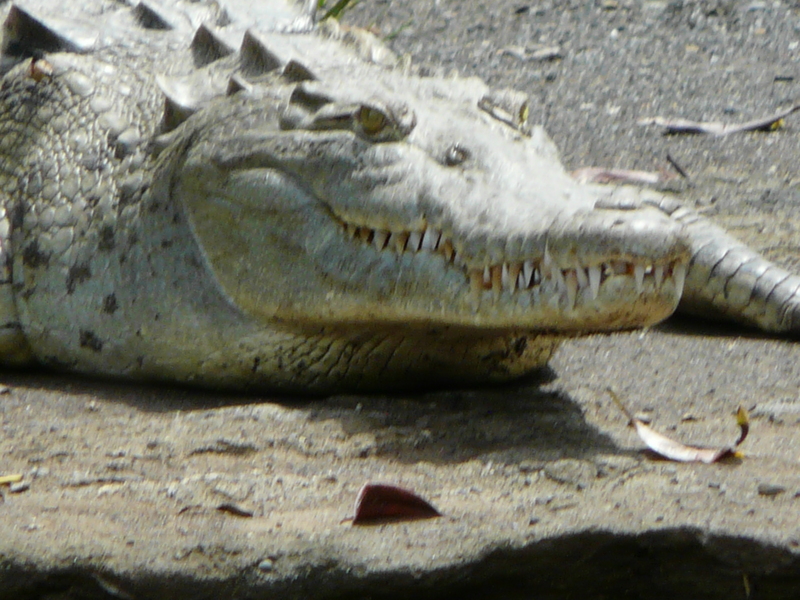 Huge creatures just lounging in the sun until they disappear into the murky water just their eyes at the surface. It’s at this point you are glad to be in a large boat. 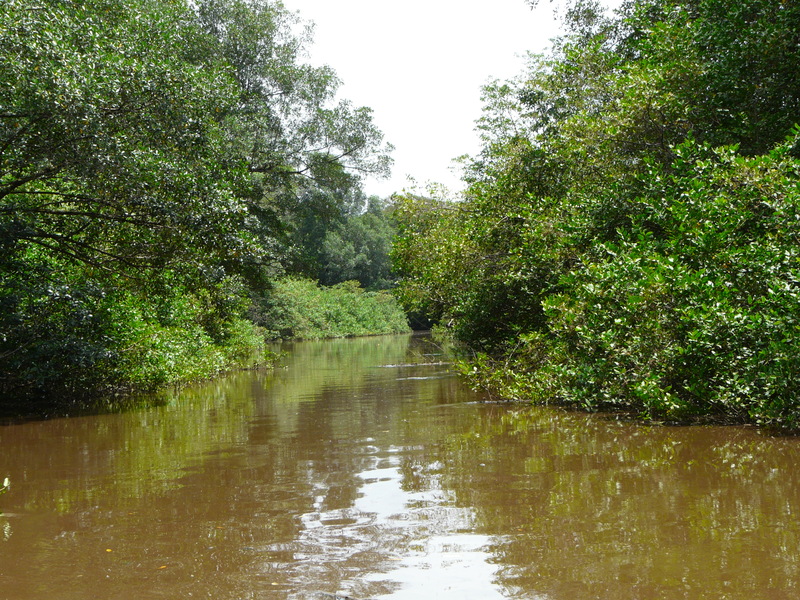 Being out in the mangrove was a wonderful introduction to the huge amount of wildlife that Costa Rica holds, this small section of river that we journeyed on was teaming with life, truly amazing. As much as I would have loved to have spent many more hours journeying deeper into the mangroves it was time to leave and continue our journey to Manuel Antonio. Luck was clearly on our side because the moment we got back to the jetty the heavens opened and the much talked about rain of the rainy season started and did not stop until morning. This was epic rain like I have never seen, and rain we would continue to see every afternoon while in Costa Rica. Travelling along the coast, passing through the beach towns that are frequented by the residents of San Jose at the weekend we eventually reached Manuel Antonio. Very few hotels actually have access to the beaches and those on the coast side vie for sea views. 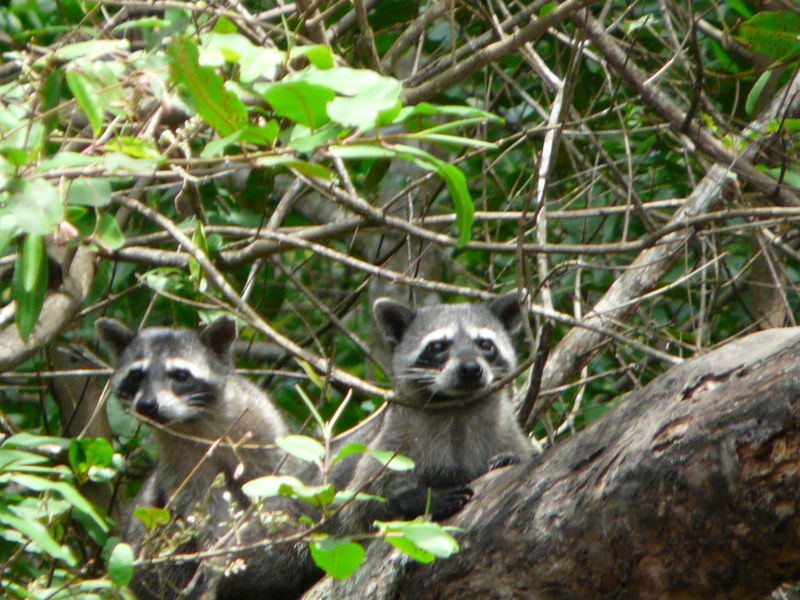 Many are perched on the cliff side or surrounded by forest. I spent the next two nights at the Hotel El Parador. It was a charming hotel with a colonial decor, dark wood and high ceilings. The main building offered spectacular views of the coast and the bays it created, the adult pool looking out over the cliff. The hotel offered a range of rooms, from the basic garden rooms which were ground floor and as the name suggests look out onto the garden. The rooms go up in grade offering more spectacular views of the sea and bays. The suites go as far as to have a hot tub on the balconies, a great place to enjoy the views. With a jam-packed itinerary we didn’t have much time to lounge around the hotel, but one evening we did spot the local toads and frogs making themselves at home in the main pool, an odd sight indeed! The rain held itself back for our first morning in Manuel Antonio and the clouds cleared ready for us setting out on a catamaran tour. The 2.5 hour tour takes you out into the Pacific along the coast, the hope was to see whales and dolphins but they did not come out for us. Disappointed but the spectacular scenery made up for it. 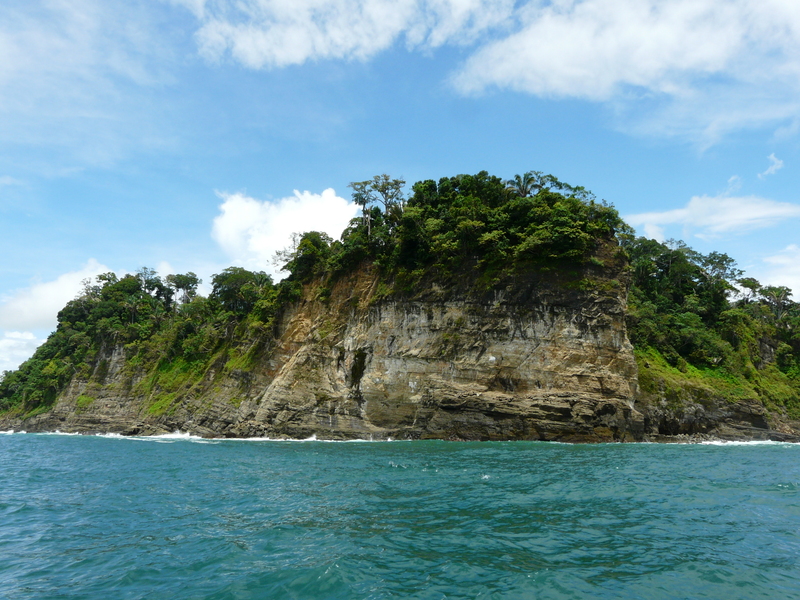 The rainforest spilling over the cliff edges into the ocean, this was true nature at its best. The blue sea crashing against the cliffs. 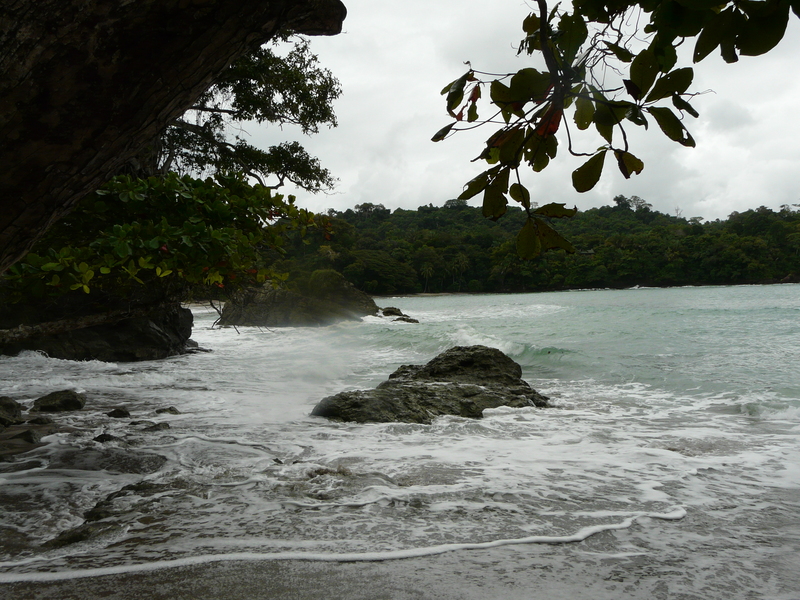 Natural beaches etched into the bays offering an entrance into the dense rainforest, this is paradise. Going out onto the ocean of course means you can snorkel or swim in the warm waters, eagerly needed by everyone having sat in the hot sun for too long. After a refreshing dip and fish kebab cooked by the crew we headed back to shore because the afternoon was to be spent in the National Park, something I was greatly looking forward too. Inside the park is a beach, one that we had seen from the catamaran and this was to be our destination. The national park is currently going under quite a bit of work to make more trails for visitors so they can get deeper into the forest, something I definitely want to go back and experience. As we followed the main path into the park we were only a few hundred meters from the entrance when a troop of Capuchin monkeys appeared. They were crossing the path and were so at ease with us all being there. Not tame but not bothered by us at all. They were happy to pass between us on the path to get to the trees on the other side. This was odd for me having only experienced the Amazon Rainforest before where animal sightings are scarce in the dense forest. 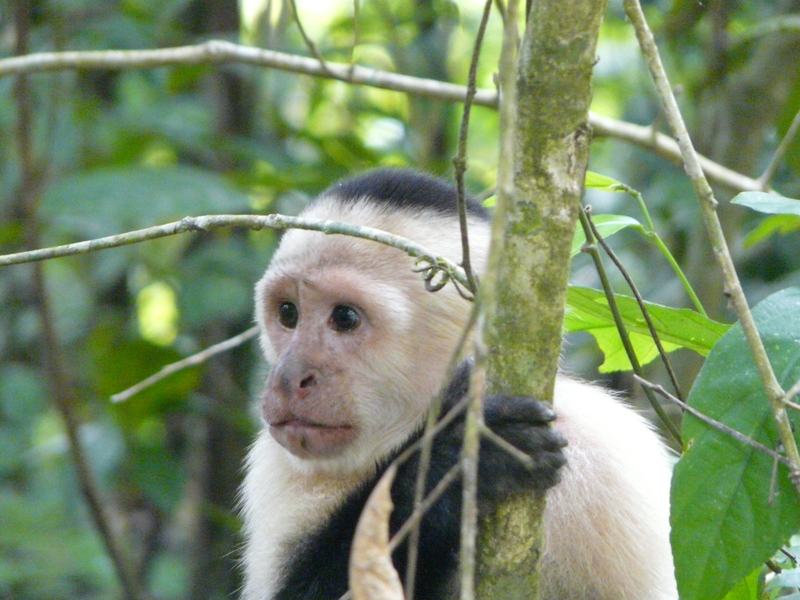 There was a Capuchin monkey standing right next to me – truly amazing. 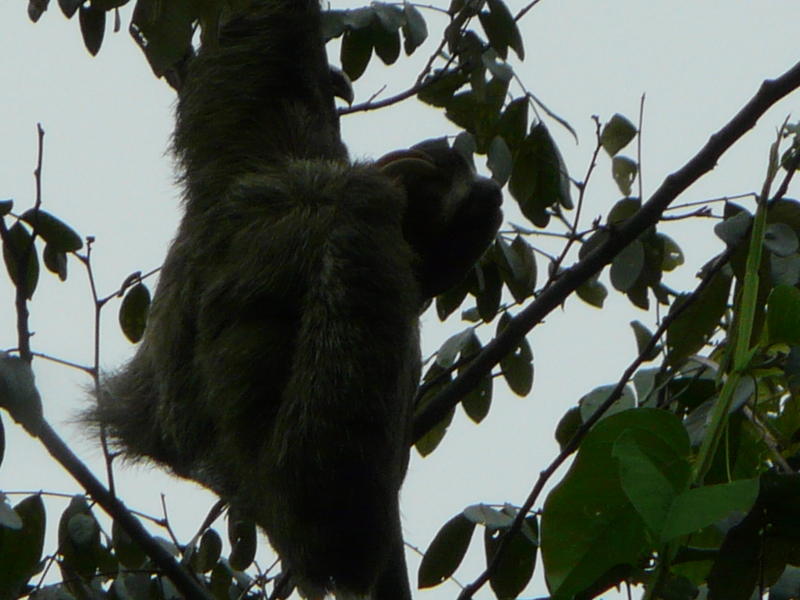 As we carried on eyes peeled for any other sightings we soon found the one thing I really wanted to tick off my list, the sloth! High in the trees there he was climbing higher to get his leaves. He was just as I had imagined, long limbed, shaggy fur, the quizzical faces, my first sloth in the wild and he did not disappoint. 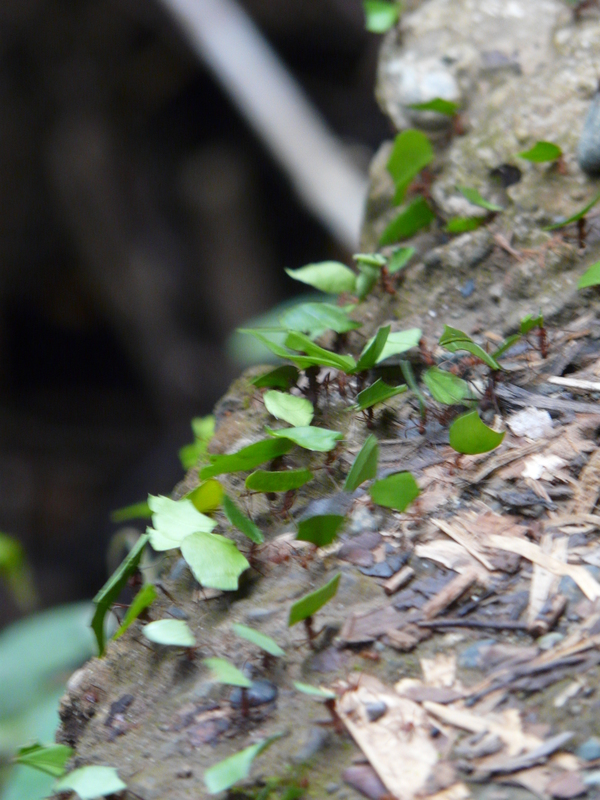 Just this one path from the entrance to the beach was full of life, the path shared with leaf cutter ants going about their business, monkeys, sloths, beautiful birds and then the white sand beach, the trees spilling out onto the sand. 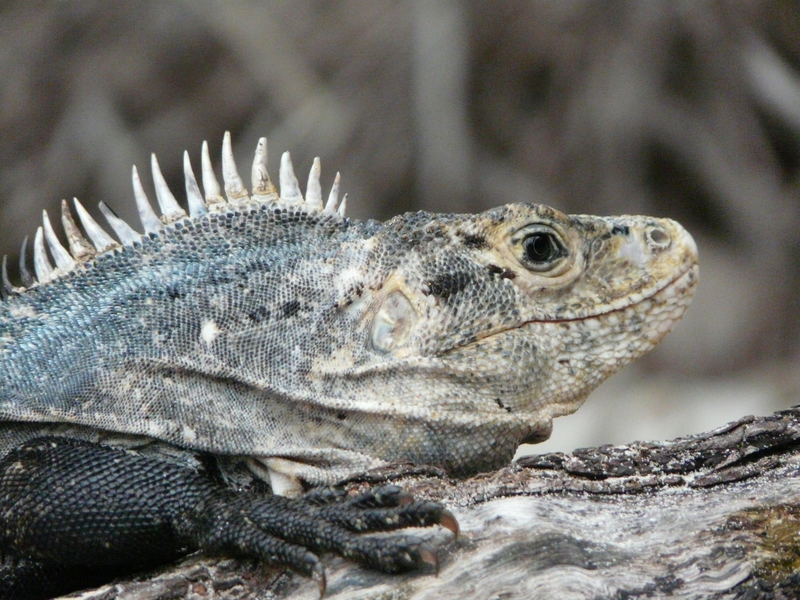 As we walked along the sand we came across a fallen tree now the sun lounger for two impressive looking iguanas, one such tremendous shades of blue. Fallen coconuts being lapped by the waves on the beach. This is paradise. 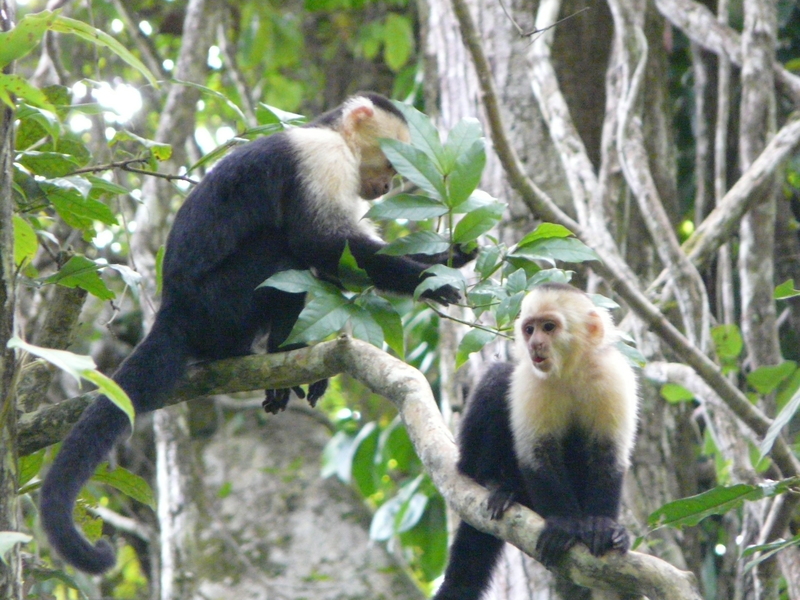 As I took everything in sitting on the sand there were more Capuchins behind us in the trees. I had only been in the park a couple of hours, imagine spending a few days here, or staying in a lodge within one of the national parks. If you love wildlife, oh hell, if you are vaguely interested in it then this is the place to come because you cannot escape the wonders it offers. Of course there is so much more on offer than beaches and wildlife. Costa Rica is building a reputation for quite the adventure destination, be it zip lining through the forests, rafting on rivers or light trekking, there really is something for everyone in this tiny country! From Paris to Palawan, from Mexico to the Masai Mara, the world's a big ,exciting place to explore.